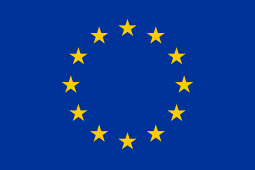 As noted in Lesson 18 (EU development aid & trade), the EU has gradually developed the concept of a comprehensive, or integrated, approach to conflict prevention and peacebuilding, which involves the use of the full range of EU policy tools directed towards all phases of the conflict cycle, and towards various cross-cutting issues, for both short and long-term purposes (see also Lesson 1). This approach essentially builds upon several earlier attempts to reform EU foreign/security policy mechanisms, often framed in terms of ‘cohesion,’ ‘coherence,’ and ‘coordination’ (see also Lesson 6 on internal coordination). Even so, and despite years of discussions about the comprehensive approach since the advent of CSDP missions in 2003, there is still much room for improvement here. Although a number of EU-CIVCAP outputs discuss the integrated approach in various ways, DL 4.3 in particular analyses this topic more intensively, while also comparing the EU’s approach with that of other security actors (the UN, NATO, and the OCSE). Several lessons have been identified through this research, beginning with a need to further integrate the EU’s overall strategies, institutions, and staff recruitment/training methods in the realm of conflict prevention and peacebuilding towards a clearer and more consistent integrated approach. The EU has already made some progress here in broadening the notion of ‘integration’ well beyond the idea of bringing civilian and military tools to bear upon conflict prevention and peacebuilding tasks, yet the EU’s growing ambitions as a global actor (as reflected in the EU Global Strategy) raise the challenge of making sure the entire system is working towards the same goals while reducing, if not eliminating, any redundancy of effort. Toward this end, DL 4.3 notes the importance of making sure that EU Member States as well as EU institutional actors are working towards the same strategic priorities in specific host countries, which could involve the development of clear indicators about the use of the integrated approach for conflict prevention and peacebuilding tasks. This also might require some monitoring and assessment of the extent to which EU Member States and other actors are supporting an integrated approach in a specific host country. 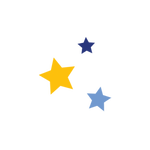 Staff training procedures in the EEAS, Commission, and EU Member States might also be enhanced to raise awareness of, and develop common standards regarding, the integrated approach regarding various conflict prevention and peacebuilding tasks (see DL 2.1 on this point). At the same time, the EU needs to be careful to avoid an overly bureaucratic or rigid approach to the integration of its various policy tools when devising a conflict prevention and peacebuilding-type intervention. Instead, the EU should select a few clear and consistent concepts to invest in, always keeping a close eye on its operational needs and the requests for assistance coming from Delegations and missions in fragile and conflict-affected countries. Finally, these lessons should be considered in light of the other two lessons involving the integrated approach: Lesson 24 (Delegations & partners), Lesson 25 (Technology) and Lesson 34 (Implementation). In addition to enhancing the integrated approach in terms of coordinating EU strategies/concepts, institutional procedures, and staff training in the realm of conflict prevention and peacebuilding, the EU should take steps to make sure EU Member States, and EU partners, are fully committed to the integrated approach, without necessarily formalising it into a rigid, ‘one size fits all’ model or ‘box-ticking’ task.